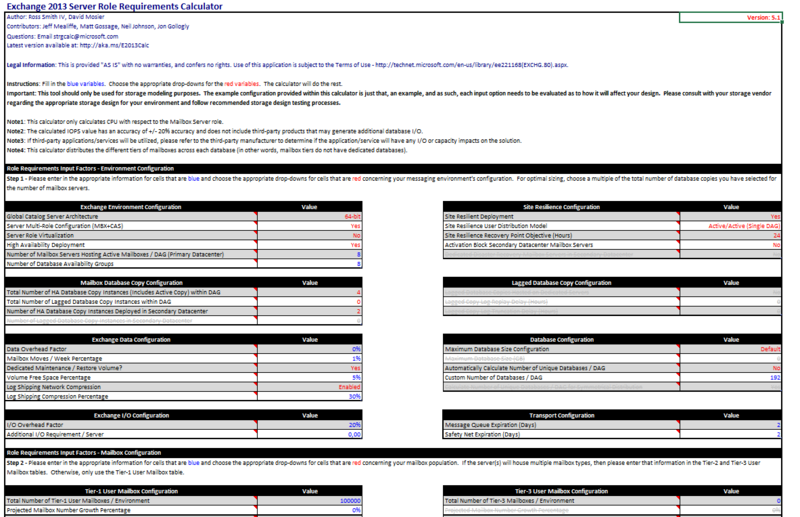 New calculator includes Mailbox server role calculator and also recommendations on sizing Client Access servers. Tagged Exchange 2013 Server Role Requirements Calculator, Microsoft Exchange 2013. Bookmark the permalink.